I started training in April 2015 in an effort to get in better shape and because I had always wanted to learn a martial art. Master French was very welcoming as was the entire class. After training for about a month my daughter came to watch class one evening. Master French took the time to show her a few things even though she wasn’t there to participate. She joined the next week with my wife a couple months later. What started as an attempt for me to get into better shape has changed my entire family for the better. We have improved ourselves in fitness, flexibility and confidence. Master French and Kuk Sool Won of Thetford made us feel welcome and part of their family. I could not be happier with the decision I made almost 2 years ago. My son asked if he could go to martial arts so after looking around i found Kuk Sool Won. Me and my son have been going for almost a year give or take. When we went to are first class I was so nervous but everyone made us feel so welcome you soon forgot about that and started to enjoy the class. Kris French is a great instructor, he will personally teach you the techniques you will be learning and other students stay with you to help you master them. He is great with the kids, it really is like a small family which makes you feel like you part of a group. I did not want to do this at first, I went for me son, but I am so glad that I made that decision to go it has been so good for me and my son. My son loves going he was so shy but going to class has helped him so much. 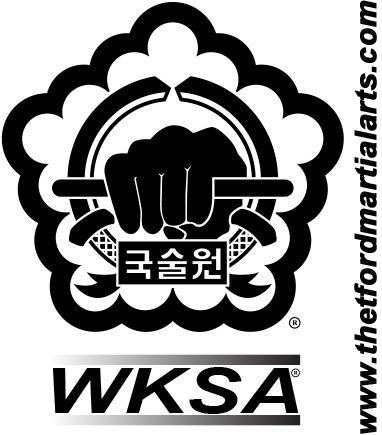 If your thinking of doing martial arts take a look you will not find a much better class then Kuk Sool Won, give it a go and see for your self. Kuk Sool Won of Thetford is a fun and friendly place to practice. We love the family element that Master Kris and his Wife Jenny create which appeals to us because my wife, son and myself also train. I have been taught by Master Kris for 23 years (not that he wants me to tell you that🤣) his teaching style is fantastic. He is patient and enthusiastic, he makes learning fun and interesting. We also like the variety that Kuk Sool Won has to offer such as empty hand forms and self defence techniques, sword training, staff training, and staff sparring we love that! Master Kris has some excellent assistance also in his teaching with his black belts who do him great justice. Kris is a true gentleman and a true professional. There have been many times when he has tried to teach me something and his patience and capability are second to none! Never will he make you feel like an inconvenience. Always out for everyone to succeed and be the best they can be. PKJN Kris French and his assistants are great with the kids. My son really looks forward to his lessons every week. His physical ability and flexibility have vastly improved since he first started as has his self discipline. I highly recommend this martial arts school. If you are looking for a quality school and instructor in the Thetford area, this is the school for you. Master Kris is an excellent instructor of 20+ years experience. Kuk sool won is a complete martial arts system, unlike many other like clubs, you and your children are guaranteed the best quality teaching from a dedicated caring Master. This school will go from strength to strength because of the high standards, you will not regret it!! I’ve had so many happy years of training with Kris French. His technical knowledge and passion for martial arts inspired and supported me to reach 3rd degree black belt. Kuk Sool Won is probably the best fitness training I have ever done – developing strength, stamina and flexibility. And yet Kris, you just make it seem like we’re having fun! Kris taught me from my very first lessons all the way through to my Black Belt. He was absolutely pivotal to my success in my tournaments and in achieving my 1st degree black belt. I could not recommend him highly enough. And as a side note, I will remember his Monsters Inc inspired warm-up forever! Amazing! Master Kris French is an inspiring martial artist and a caring instructor. Kuk Sool Won is a great workout and great self defense. The school in Thetford provides students with the opportunity to grow strong physically and to develop the kind of character every parent wants for their kids. Whether you’re looking for a workout for yourself, or a place for your kids to improve their confidence, focus, and respect.. this is a great place to do it. As an occasional visitor to Kuk Sool Won of Thetford either during a lesson or at any of the demonstrations they put on, I am always astounded at the difference in the students. It is an absolute pleasure to see the changes not only in their martial art ability but also growing in confidence and self esteem. Fun would appear to be a running theme. Extra fun is to be had on a student’s birthday – they get to throw (safely, of course, ) PJKN Kris French around. I would highly recommend taking advantage of the two free taster lessons, to see if this is for you or your family. Kris and Jenny always make you feel part of the family. Enjoy if you decide to have a go. Master Kris is a brilliant instructor and any student training with Kuk Sool Won of Thetford is privileged to learn with him. Highly recommended! Since my son started training with Kuk Sool Won™ of Thetford the benefits to him have been significant. In just over a year it is not just his physical health that has improved but also his self-confidence and self esteem. The greatest change however has been in his behaviour and his overall respect for others. This, prior to Kuk Sool, was a great concern for me so, you must appreciate, the benefits are not just for my son but also for me. He is now ambitious to do well, not just in Kuk Sool but also in other aspects of his life. I am proud of my son and grateful for the help and support Kuk Sool has given us. Growing up I always struggled with physical activities and had issues with my legs and balance. This improved a little growing up but I was left with a lack of confidence in my physical ability. Since beginning my training I have noticed a huge improvement, particularly in my lower body strength. This has in turn improved my balance and confidence. My fitness level has also grown massively and I have lost nearly two stone in weight. All of this means I generally feel better, have more energy and am able to do more with my two children. Added to this, I hugely enjoy the training and being part of a lovely school with a family feel to it. I look forward to the days when we train and I am disappointed when work commitments mean I have to miss a class. I cannot overstate how much of a positive impact Kuk Sool has had on my life and would recommend unreservedly to anyone. 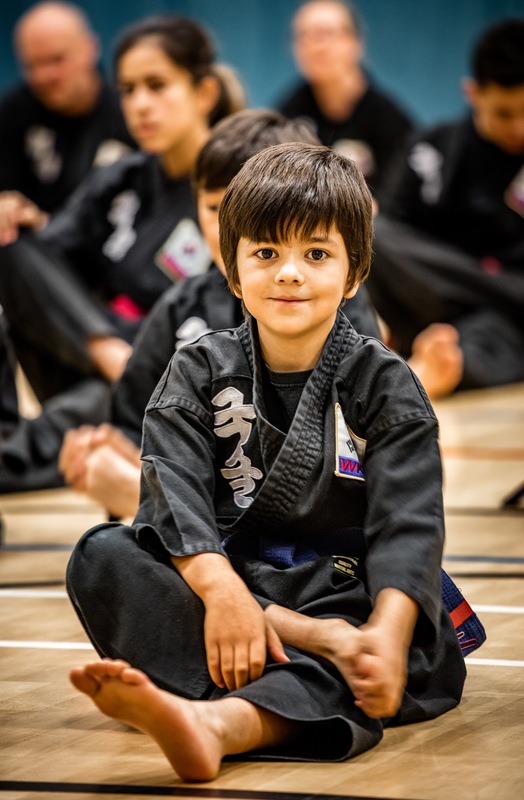 I have also previously trained at other martial arts schools, which, while enjoying it a lot, I never felt that I wanted to take my own children along too. Since starting at Kuk Sool Won™ of Thetford I have seen how well the juniors there are treated, how they look after each other and how well they respond to the instructors. My 9-year old daughter now trains with me and she loves it. PKJN Kris and Jenny are awesome. Excellent with the younger members in the juniors class and equally good with seniors class for adults. Fully embraces all aspects of martial arts. The philosophy, the fitness, the style and the technique. Living it. Loving it. Kuk Sool! My husband and I took our 10-year-old son to an open day at Thetford Academy; this then resulted in the whole family joining Thetford Kuk Sool Won™. in May 2014. We have enjoyed our time there and learnt so many new things since joining. We have completed two testing’s to gain our next belts which we have been supported through by PKJN Kris French and Jenny French. When I first started I was seriously lacking in self-confidence this has improved to such a level where as a team this summer we completed our first demonstration in Thetford. Through PKJN and Jenny’s support they have given me the confidence to enter my first tournament this month. The atmosphere is fantastic and we all work as a team and a family supporting each other when we don’t find things easy. So I would encourage any adult or child to try Kuk Sool Won™. and enjoy all the challenges that face you. So from Anna, Anth and Joshua, thank you Sir and Ma’am. Great classes and very friendly bunch of people 🙂 Instructors are wonderful and very patient and understanding with the younger students.